Are you constantly getting notified that there is a recent update from Adobe's CC? This article gives insight on the top 5 VFX artist related updates. Even if you’re a frequent user of Adobe’s Creative Cloud products, it’s incredibly easy to overlook what’s packed inside the latest updates, because so many new features are being added all the time. With the addition of Adobe’s new AI component (aptly named “Sensei”), the Creative Cloud is getting even more powerful in its features and functionality. Below are five recent features that are worth learning and using! We touched on this great new feature in a recent article, and it’s one of the most exciting recent updates to Premiere. You can implement comparison view in the Lumetri color panel to quickly color match your scenes, so they all have a cohesive look. On top of that, you can even use stills from your favorite movies to achieve a similar color grade on your footage! Keep in mind, results may vary, and you will still need to do a bit of work on tweaking the footage to get the look you want, but it gives you a boost in the right direction. Check out the video below for an overview of how it works, and you can find a more complete description on it here. If you’ve ever searched for ways to upscale an image without losing quality or resolution, you probably ran across a few third-party Photoshop plugins, and some hit-or-miss tutorials. Fortunately, you can now enlarge images in Photoshop while retaining a substantial level of quality thanks to Preserve Details 2.0. The results of Preserve Details 2.0 (seen below) are shockingly good compared to Photoshop’s previous upscaling algorithms. For a lot of After Effects users, this one will be a godsend. It was once a cumbersome task to duplicate a comp then make changes to the duplicate without affecting the original comp, but it has now become substantially less tedious to get the job done. The video below explains the time-saving advantages Master Properties offers, if you want to know how to copy a comp and change its settings with ease. It’s never been easier to work with audio levels in Premiere Pro. If you need to make your vocal audio stand out over the background music, and have your music fade back up dramatically after the dialogue ends, you’ll love the new auto-ducking feature. Chances are you have used the puppet pin tool in the past to deform elements in your scene like the ground or walls to respond to VFX like explosions, fire, etc. With the advanced puppet engine, you have more mesh options than ever for more realistic-looking deformations. Below is a brief overview of the Advanced Puppet Engine. As you can see from this list, the common theme in all these great additions is simplifying your workflow, and streamlining once-complex processes with even better results. 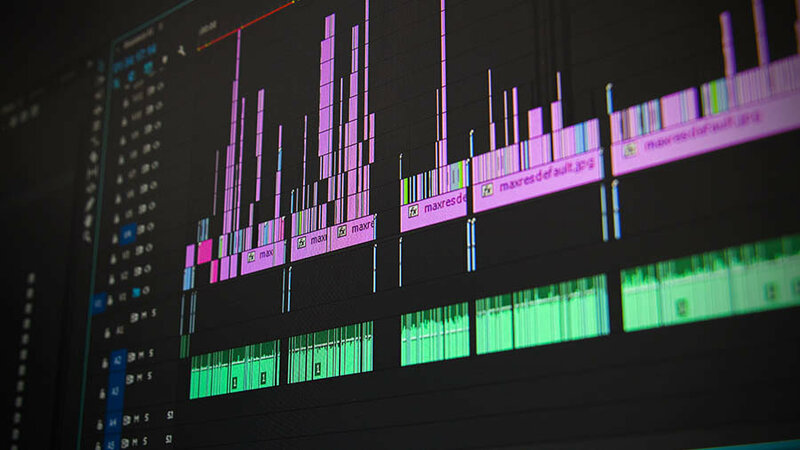 We’ve all dreamed of finding an easier way to accomplish most of these tasks, so it’s a relief to see how these exciting innovations can actually make a big difference in the editing room. Any other recent feature updates you’ve been enjoying in the Creative Cloud? Share your favorites in the comments below!